“Undetected inbound, unscathed outbound.” That’s how one pilot summarized his mission to bomb targets in Baghdad with the $2.2 billion Northrop Grumman B-2 Spirit on the first night of Operation Iraqi Freedom in March 2003. 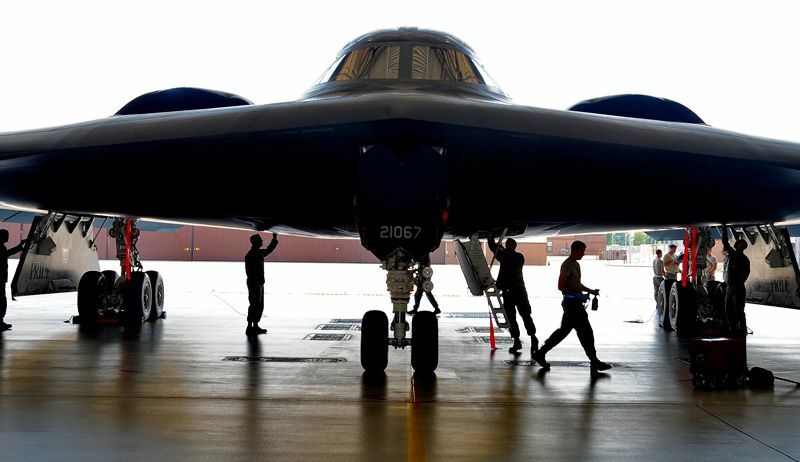 His words capture the reasons the Air Force built such an expensive bomber to launch global-strike missions, which B-2 pilots fly from Whiteman Air Force Base in central Missouri. 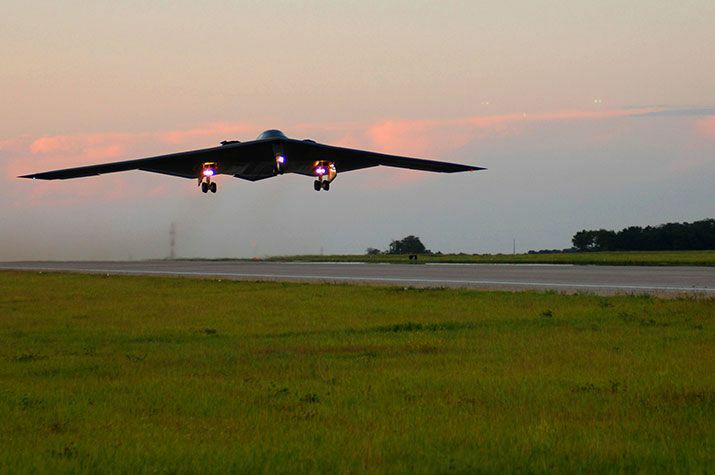 Twenty years after the first mysterious bomber arrived at Whiteman, the B-2 still stands ready to deter bad behavior, hearten allies, and destroy targets “anytime, anywhere,” as Whiteman’s 509th Bomb Wing puts it. 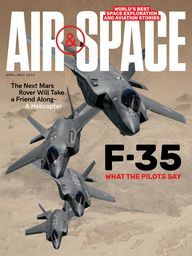 “Unless a nation has the technological prowess and the wealth to build stealth aircraft, hitting targets in well-defended lands takes a lot of air power. America’s last big air action without stealth was Linebacker II, late in the Vietnam War, which sought to bomb the North Vietnamese back to the peace table. 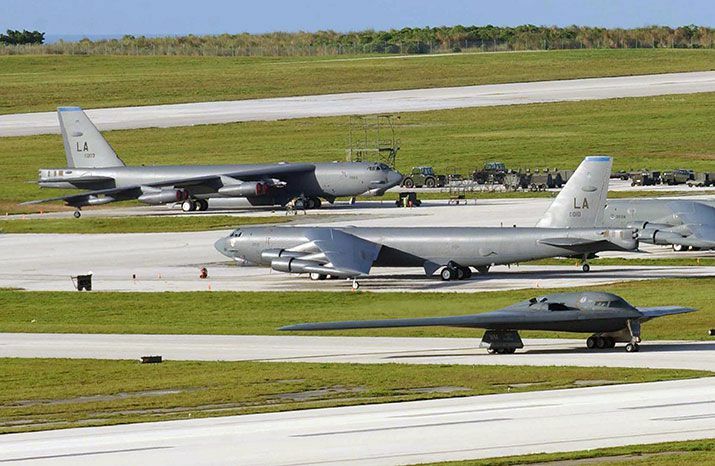 Daily attacks to protect a 70-mile-long column of B-52s required up to four dozen support aircraft at a time to jam, blind, and destroy surface-to-air-directing radars. 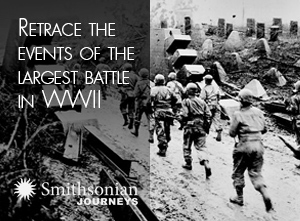 Even so, over the 11-day operation, waves of Soviet-built missiles shot down 27 aircraft. “That was in 1972. 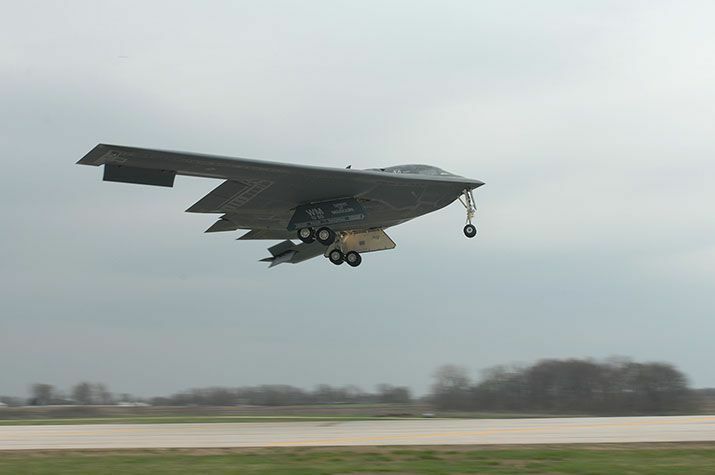 Two decades later, the B-2 Spirit of Missouri touched down at Whiteman, the first stealth bomber of 22 to be delivered. Today, the fleet has served in four wars: Kosovo (1999), Afghanistan (2001), Iraq (2003), and Libya (2011). 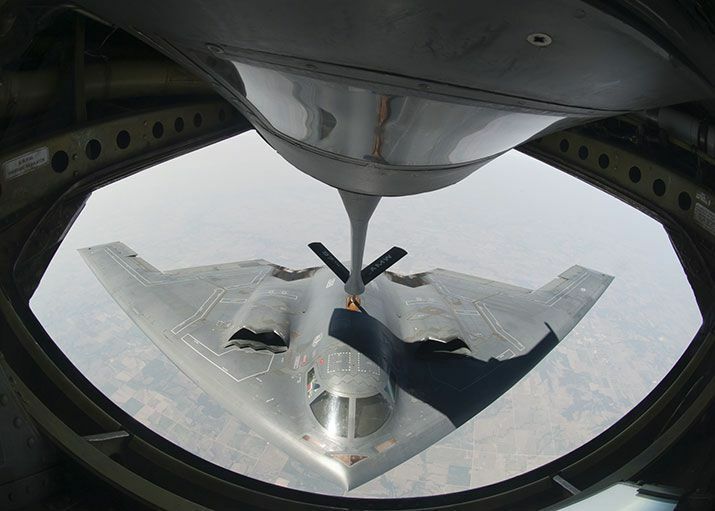 After 20 years of service—the Air Force is planning a celebration at Whiteman in late September—the B-2 is a different bomber than the ones pilots flew on their first training missions. “Standing in Dock 12 alongside the Spirit of South Carolina—each bomber is commissioned with a state’s name—I don’t notice any change. The B-2 still appears to be a shape-shifter, an optical illusion. From some angles, the bomber looks as compact as a business jet and without nearly enough interior space to carry 30 tons of bombs, but the maintainers who met me there on a Friday afternoon last May assure me it has the wingspan of a B-52, though the fuselage is only as long as an F-15 fighter’s. “But there have been upgrades. 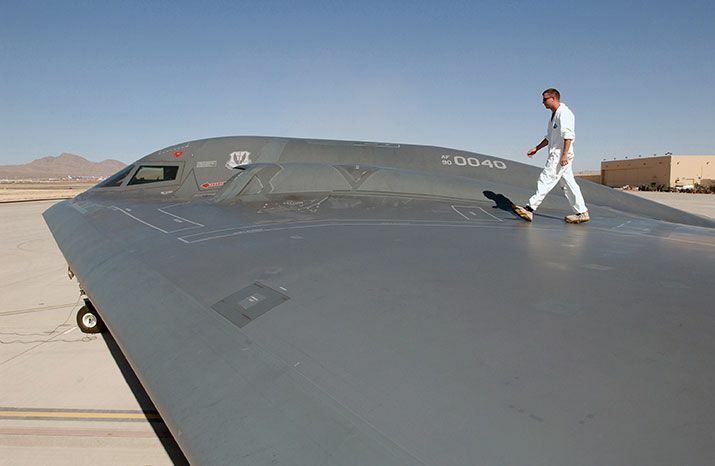 Its stealthy skin is now easier to maintain, and the time spent on maintenance per flight hour has been cut in half. Its radar and communications have been improved. 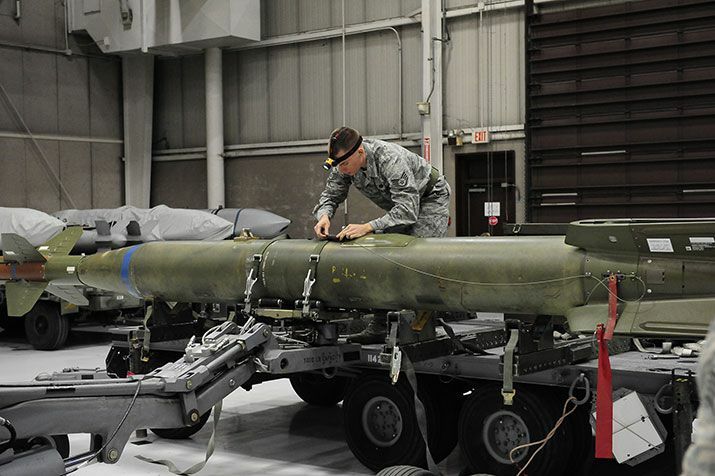 Since 1993, new precision-guided weapons have been added to the quiver, and more are on the way, including a nuclear-tipped cruise missile. “Pilots are one hard limit that upgrades can’t change. But almost two decades of experience can. The learning began in early 1999, when the B-2 first went into combat over the former Yugoslavia. That’s the year that then-Major “Pita” joined the ranks. (To protect identities, the 509th Bomb Wing requested that I use only the pilots’ call signs.) Pita had been flying F-16 fighters for seven years at bases in Japan and the United States. The Air Force selects B-2 pilots from both fighter and bomber camps. The philosophy is that the autonomy and adaptability of the former complements the team-oriented steadiness of the latter. 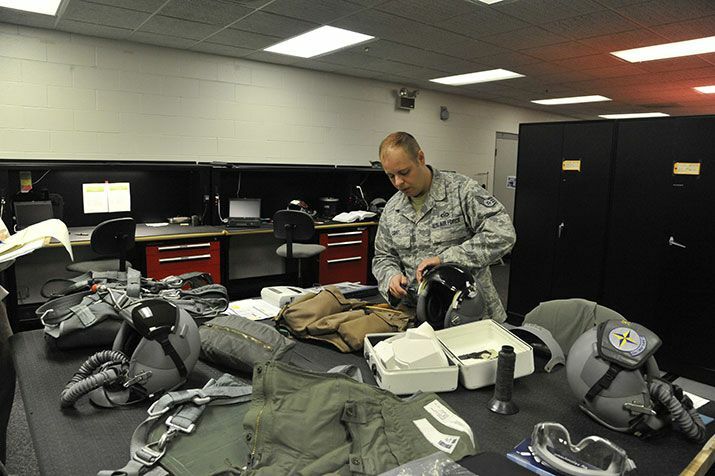 Even for highly experienced pilots, acceptance into the B-2 corps usually takes a year. ““It’s not just the credentials and your proficiency when flying,” Pita tells me. “The pilots have a say as well,” because the missions are long (the longest combat mission for the B-2 has been 44.3 hours) and require close coordination between pilot in the left seat and mission commander in the right. “If they feel a pilot would make them uncomfortable, or is unpleasant to be around, that’s important [to know],” Pita says. “After being accepted into the wing, Pita started the B-2 training in October 1999. New pilots master the T-38, an agile, twin-seat jet trainer that keeps skills and reactions sharp, and they must complete an initial qualification training (IQT) course covering fundamental B-2 skills. Each IQT class holds just three or four trainees; classes graduate in six or seven months. “After Pita was inducted into the 325th Squadron, his training shifted from methods to missions. Then fully qualified, Pita served as an instructor, pending the chance to fly the bomber into combat. 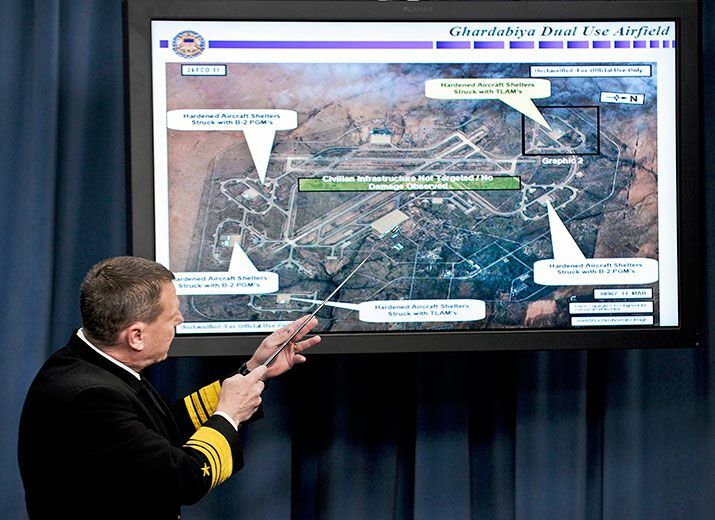 That came in March 2003, as the United States made final preparations to oust Saddam Hussein.